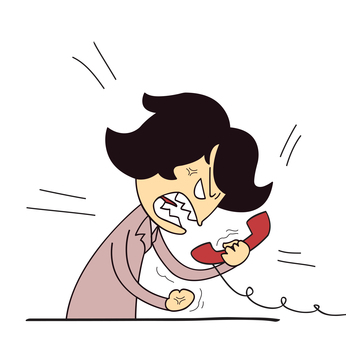 There are several different ways to get rid of annoying calls on your phone. You can choose the most suitable method based on your device and the operating system you are using. Android and iOS are two of the most popular and widely used mobile operating systems and you can block unwanted calls on these devices with a little effort. How to get rid of unwanted calls on iPhone? You can block unwanted calls on your iPhone if you have iOS 7 or 8 installed on your device. Unfortunately you cannot upgrade your older iOS devices like iPhone 4 to these iOS versions that ultimately leaves no option to block phone numbers which aren’t wanted (there is still a method given at the end of this post). Apple added this feature after getting so many requests from all over the globe and now users with iOS 7 or later can block phone numbers from calling using this: settings >> phone >> blocked >> add new number. You must have that number saved in your contact list or you must have an incoming call or message. How to block phone numbers on Android phone? Unfortunately pure Android platform does not have this feature but many manufacturers like Samsung add this feature in the modified version of Android. So, if you have a Nexus device or any other Android device with Google Play Edition (pure Android) then you cannot block phone numbers without a 3rd party app. If you are lucky enough to have a device like Samsung Galaxy Note 4 or Samsung Galaxy S 5 then you can easily block incoming calls from call settings >> reject list. If you don’t know whether your Android phone has this feature or not then either contact manufacturer or search online forums.